U.S. Sen. Ted Cruz, R-Texas, on Sunday condemned recent comments from U.S. Rep. Steve King, R-Iowa, questioning why white supremacy is seen as offensive. Cruz did not rule out lending future support to King, a central figure in his 2016 presidential campaign. 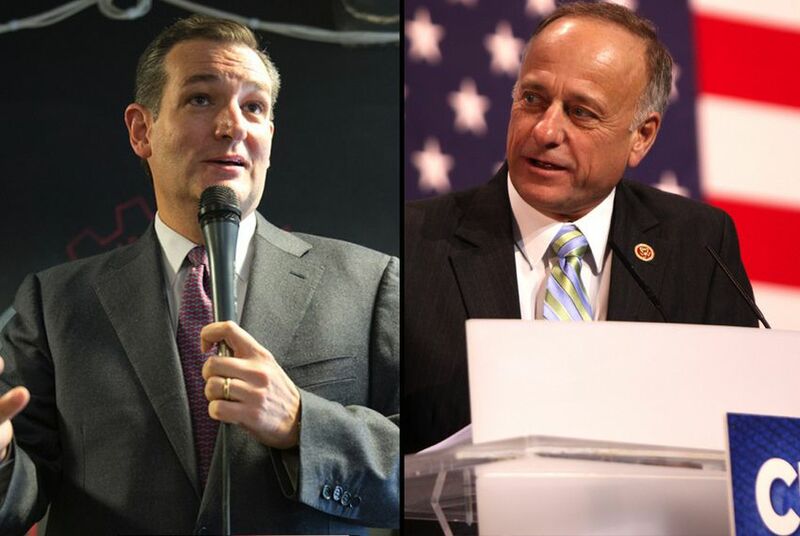 "What Steve King said was stupid," Cruz said during an interview on NBC's "Face the Nation." "It was stupid, it was hurtful, it was wrong and he needs to stop it." Asked if he would back King in the future, Cruz replied that he will "urge everyone to stand for principles that matter" and shifted the topic to how he spoke out against a recent effort to oust a Tarrant County GOP official because he is Muslim. Cruz was among several top Texas Republicans who condemned the effort, which failed in a 139-49 vote Thursday. Other Republicans have criticized King's latest comments, but Cruz has a close relationship with King, who served as a national co-chair of Cruz's 2016 bid. King's rhetoric last came under such scrutiny in the wake of the Pittsburgh synagogue shooting in November, which coincided with the closing days of Cruz's re-election race against then-U.S. Rep. Beto O'Rourke, D-El Paso. At the time, Cruz issued a general lament about political division in the country but did not directly criticize King.